RICH-61D0, a fanless embedded system featuring Intel® Atom® processor series (formerly Apollo Lake). Its fanless, compact chassis design, plus low power consumption, make RICH-61D0 a perfect solution for applications with space limitation such as industrial automation, medical equipment, communication devices and IoT devices. Nieuw Vennep, Netherlands– January 8, 2019-- Portwell, Inc., (www.portwell.com.tw) a world-leading innovator in the Industrial PC (IPC) market and an Associate member of the Intel® Internet of Things (IoT) Solutions Alliance, today announces the release of the RICH-61D0, a fanless embedded system featuring Intel® Atom® processor series (formerly Apollo Lake). Its fanless, compact chassis design, plus low power consumption, make RICH-61D0 a perfect solution for applications with space limitation such as industrial automation, medical equipment, communication devices and IoT devices. According to Ian Wang, Portwell’s product manager, the new rugged RICH-61D0 is equipped with the Portwell WUX-N series, a NUC (4x4 inch) form factor embedded board based on the Intel® Atom® processor series (formerly Apollo Lake), which integrates the low power Intel® Gen9 graphics engine with up to 18 execution units that improves 3D graphics performance and supports faster 4K encode and decode operations. The compact RICH-61D0 embedded system also features DDR3L SO-DIMM up to 8 GB supporting 1866/1600 MT/s; 6x USB ports; one DP and one HDMI with resolution up to 4096 x 2160; one COM port for RS-232 on rear I/O; and multiple storage with 1 x SATA III port, 1 x Micro-SD 3.0 socket and can also support onboard eMMC 5.0 up to 64GB (standard 32GB). 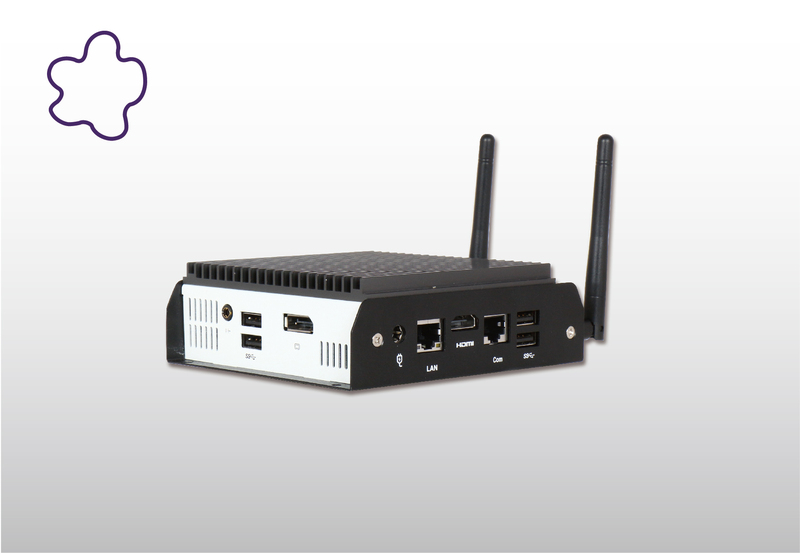 Moreover, the compact 113(W) x 41(H) x 135(D) mm chassis platform integrates the M.2 interface which enables wireless connectivity such as Wi-Fi and Bluetooth, making it an ideal IoT gateway. 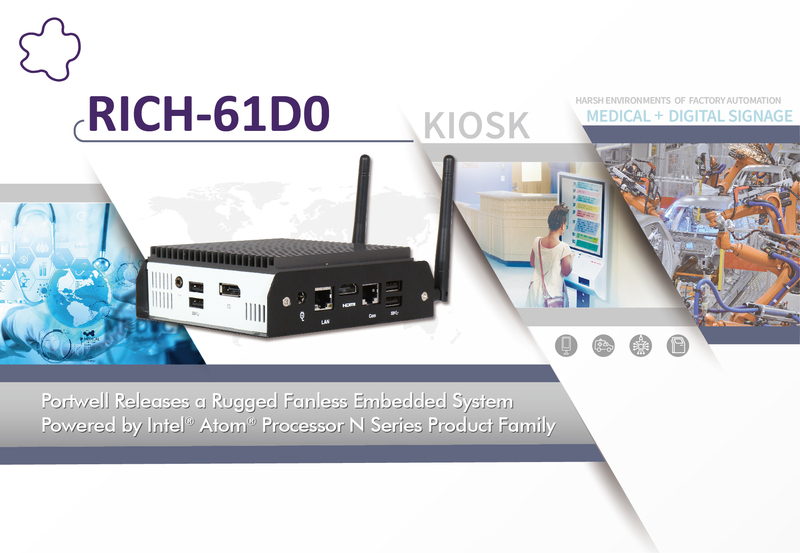 “With its cutting-edge superior performance—up to quad-core processing power via Intel® Atom® processor N series (formerly Apollo Lake), fanless compact chassis design, and wireless connectivity—the Portwell RICH-61D0 embedded system is a perfect and practical solution for medical, Industrial automation and IoT gateway applications,” Wang confirms.